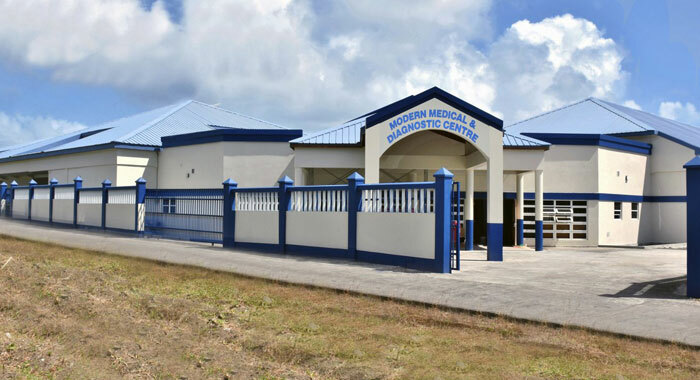 In the first six months of its operation, the Modern Medical & Diagnostic Centre (MMDC) in Georgetown received 4,300 Accident & Emergency visits and 1,800 lab visits. Further, since opening its doors to the public in July 2018, the facility performed 4,900 tests; issued 3,700 prescriptions; conducted 1,100 X-rays, 2,500 ultrasounds and ECGs, 140 surgical procedures in the operating theatre; while treating 53 oncology patients (including 11 on chemotherapy) and 22 regular dialysis patients. “All of these numbers are expected to rise,” minister of Finance, Camillo Gonsalves said during his Budget Address on Monday. “The Honourable Minister of Health and his team deserve accolades for opening, staffing and delivering high-quality hospital services to Vincentians from this superb new facility,” he said. He said the 2019 Budget continues the government’s commitment to boost the quality and availability of healthcare in St. Vincent and the Grenadines. “It reflects significant investments in infrastructure, manpower and administrative initiatives designed to improve the efficiency of our service,” Gonsalves said. He further said that the budget adopts fiscal measures that further disincentivise the excessive consumption of alcohol, cigarettes and sugar, whose negative health impacts require no elaboration, related to the increase in excise on these products. In 2019, the government will open new, state-of-the-art polyclinics at Buccament and Mesopotamia. ranging from maternity to dentistry to radiology to ophthalmology to urology, and many others,” Gonsalves said. He said these two polyclinics and the one at Stubbs will employ 76 personnel, 65 of whom are trained in the range of medical, nursing and health fields. In addition to these new polyclinics, renovations are continuing under the SMART hospital initiative funded by the Pan American Health Organization (PAHO). He said the government completed a few weeks ago, SMART upgrades to the Chateaubelair clinic. 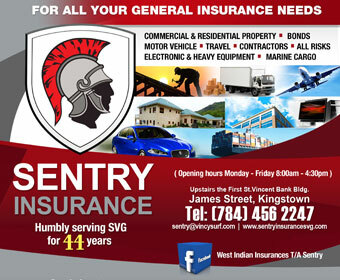 in Mayreau, Union Island, Bequia, Stubbs and Barrouallie,” he said. Gonsalves said the World Bank-funded design of the 140-bed acute referral hospital at the site of the decommissioned E.T. Joshua Airport is proceeding satisfactorily, and is expected to be completed by mid-year. “Constructing and equipping this ultra-modern hospital will cost an estimated US$50 million. The Government is in the process of securing financing for this important infrastructural anchor for the new city at Arnos Vale,” Gonsalves said. He said that from a personnel standpoint, the 2019 Budget prudently accommodates the government’s expanding hospital and clinic offerings while buttressing human resources in support of existing services. Why is the road not paved there? The money done? No road planning?